2013 - Read. Think. Act. (November 2013) The Bishop Walker School for Boys (BWS) is located in SE Washington, DC. It’s a tuition free school affiliated with the Episcopal Diocese of Washington serving low-income families in the area. The school’s mission is to nurture the spiritual, intellectual, social, physical and artistic development of these children in a Christian community that welcomes boys of all faith traditions. Currently there are two campuses close to one another and the school is adding a grade each year up to grade 8. The Bishop Walker School will eventually move to a consolidated permanent space at some point in the future. The school relies entirely on it’s own fundraising efforts and there is always a need for donations and sponsorships. Visit them at www.bishopwalkerschool.org to find out more. (July 30, 2013) This book is excellent. I have to believe the discussions it sparked when it was first published were among people who had not read it. Sheryl Sandberg hits the right note in the right tone in pointing out what we have to be conscious of as individuals in shaping our own future and how deliberate we must be in changing the culture. 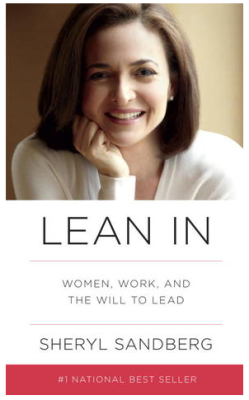 She is speaking of both the work place and in the home, and it addresses both the expectations we have of women AND men. She concludes by saying that she hopes in the future it will be just as accepted for men to choose to stay home and raise children full time, if they choose to, as it is for women to choose big jobs and careers in addition to motherhood. The world would benefit a great deal if more people read this book and embraced a vision that is entirely attainable. (May 18, 2013) The Washington Literacy Center (WLC) founded in 1963 is one of the oldest adult literacy programs in the District. Executive Director Terry Algire leads a dedicated team of staff, instructors and volunteers committed to helping some of the 90,000 functionally illiterate adults living in the city find their way to reading. The inability to read directly impacts employment. In DC’s Ward 8 alone, it’s estimated that one in five adults is unemployed. (May 6, 2013) I loved this book by Jonah Berger. I could tell before he even said it, that this was influenced by the Heath Brothers book “Made to Stick.” Chip Heath was his advisor when he was at Stanford. That influence proved invaluable in how he presented his theories on what makes something contagious. In this particular era, we equate “contagious” with “viral video.” In fact, “going viral” has entered our lexicon as a goal to be achieved in the arena of digital marketing. 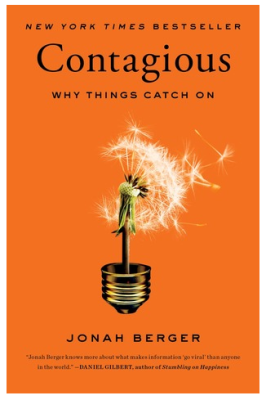 Berger pinpoints some of the common characteristics that appeal to people and make them want to share something with others in their network: things that make us laugh, things that are awe inspiring, and things that move us emotionally are high on that list. One of the best non-digital examples of a contagious idea in the book is his story of actress Tippi Hedren and her effort to help Vietnam refugees in the 1970s. While visiting a tent camp in California in her full couture, the women became fascinated by her professionally manicured fingernails. Tippi returned the next day with her manicurist who showed them how a manicure is given. From the initial training of 20 Vietnamese women, the skill was passed along to the influx of Vietnamese “boat people” that followed the fall of Saigon 1975. It’s no mere coincidence that many nail salons to this day across this country are operated by Vietnamese Americans. This book is an engaging read. The fundamental ideas are applicable to so many efforts where the goal is to spread ideas quickly from one person to another. (Feb. 18, 2013) This is such an important work. 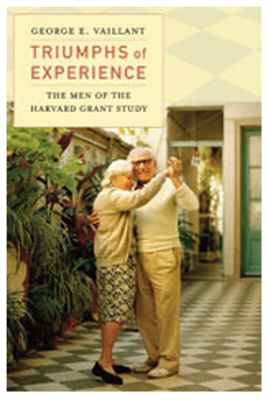 One of the only longitudinal studies of its kind, this follows a cohort of Harvard men from the ages of 19 to over 90 in a study that spans over 75 years. It is enlightening in so many ways and the style of the author (and study researcher) George Vaillant is so engaging to read. He is about 15 years younger than the study subjects and as they grew and matured, so did he. He came to his own realizations about what adult development means in very concrete terms, and what it takes to flourish throughout one’s life. There were some surprises and unexpected twists and turns along the way. There is so much data that was collected over the years that has proven useful in this type of prospective study. The research tools and methodology have developed and shifted over the years and will continue to do so. Technology has enabled more sophisticated tabulation of all this data than what the study was able to do when they started back in 1938. Vaillant believes that further technology innovation will also shed even greater light on this type of lifetime study. 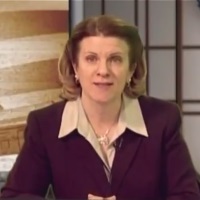 They have already begun to use neuroimaging and fMRI’s. As it turns out, one of unintended consequences of the constant struggle for funding of the research study was receipt of a grant to study Alcohol use. The book represents the most comprehensive study of alcoholism ever undertaken and it’s conclusions are startling. (January 2013) We Care to Share (WCTS) is a non sectarian, 100% volunteer, mission of doctors, nurses, dentists, pharmacists and lay people serving the needs of remote villages in Southwestern Haiti. Led by Father Yves Francois under the 501c(3) of his church, WCTS formed following the disastrous 2010 earthquake. Since then we have provided 10 medical relief missions to the village and will travel again in January, 2015. Team members come from throughout the US, Canada, and England and cover all their expenses of participation. Recent missions have been supported by Rotary Clubs within District 7610 in Virginia. Spearheaded by Dr. Sarah John, a Rotarian in the Rotary Club of Centreville & Chantilly, grant applications have been successfully funded for the last two years with another grant application pending. 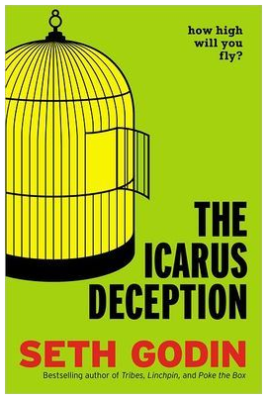 (Jan. 10, 2013) I love Seth Godin books. It’s interesting how he has evolved and adapted over the years in his writing. He talks a little about that in this new book. He makes a compelling case for paying attention to the new connection economy. I see what he’s talking about because I work in the field of social media consulting and teaching people to connect (rather than advertise, market and sell) is what I do. I also embrace his concept of “making art” – which is a concept label that works for the idea of creating something original from what we are passionate about. There is value to being an original and creating what is original. I highly recommend this book. I found it very motivating.